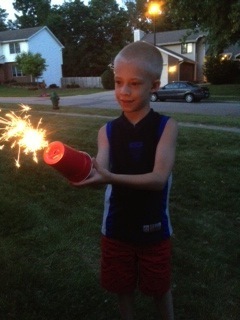 Where we live, home fireworks are a no-no, but seeing as my 5 and 3 year-old are on the timid side of the Sparkle and Pop of Independence Day fun, the lack of fireworks doesn’t seem to bother them. But what is the 4th of July without at least a little Sparkle?! Here is a great idea for your timid little ones (Thanks for the idea, Rebecca!!). 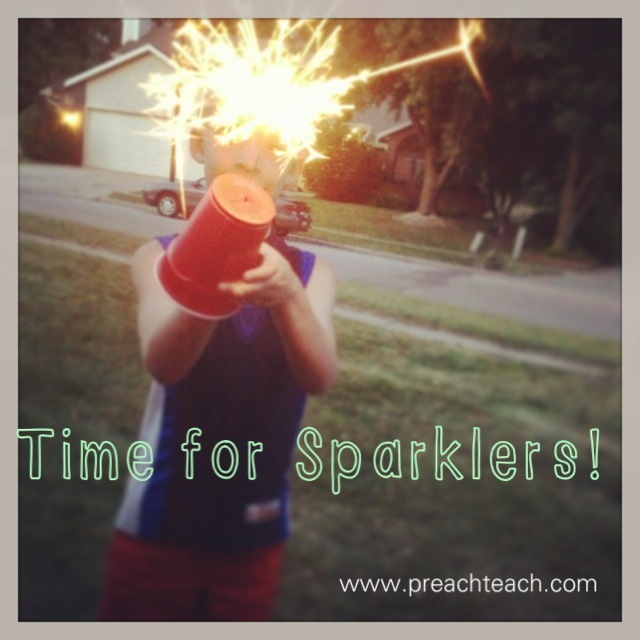 A Sparkler Shield. 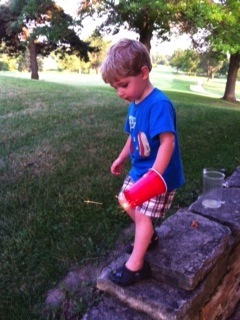 So easy to make and keeps the little fingers and hand protected from the sizzle of the sparkler. Take a plastic drinking cup, and poke a small hole in the middle. 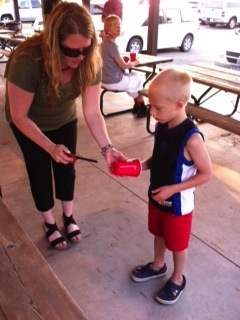 Place the sparkler in the cup and have your child hold onto the stick. 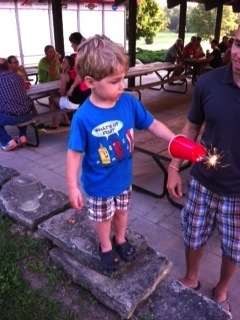 Light the sparkler. Strapping up for 940 Saturdays! What a wonderful 4th of July we all had surrounded by friends and family. I actually got the idea from face book so thank you to all who post great ideas.